He represents U.S. and foreign clients in complex commercial litigation, bankruptcy, workouts, foreclosure and asset repossession. A member of the firm's PROMESA Task Force, Mr. Arias has been actively counseling investment funds and creditors on Puerto Rico public debt restructuring. In the aftermath of Hurricane María, he has also been involved in disaster relief consulting and procurement of reconstruction projects, particularly in the energy and healthcare fields. Mr. Arias-Larcada is ranked as one of Puerto Rico's Leading Attorneys in the Bankruptcy field by the international publication Chambers & Partners in its Latin America Guide. He is also ranked in the Criminal Defense and the Insolvency and Reorganization Law fields of The Best Lawyers in Puerto Rico guide. 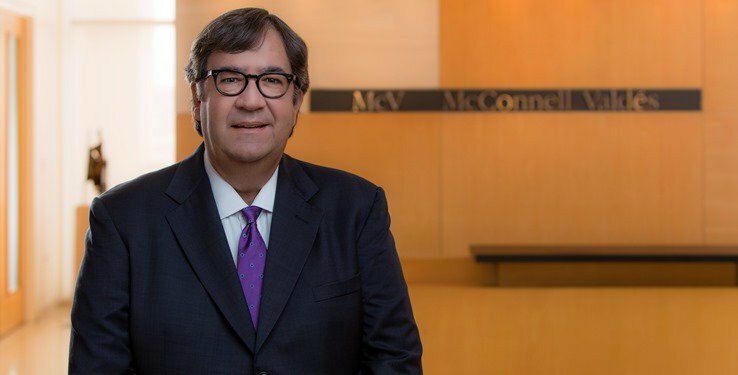 He has more than three decades of courtroom experience in numerous venues involving bankruptcy, medical malpractice, energy, telecommunications, internal company audits, and arbitration. He has extensive experience in bids and procurement consulting and litigation representing companies in connection with government contracts for goods and services ranging from aircraft to voting machines. In 2013, Mr. Arias-Larcada led the team that successfully negotiated a multi-million dollar sales contract for a new fleet of police helicopters. He also counsels engineering, project management and technology clients in government procurement of computer hardware and software for major infrastructure projects in Puerto Rico. He regularly lectures and has published several articles on bankruptcy, restructuring and insolvency. For the past 25 years he has given the bankruptcy bar review course sponsored by the Federal Bar Association of Puerto Rico. Consulting work for developer and builder of new healthcare facilities in Vieques post Hurricane María. Representation of institutional lenders in the bankruptcy cases of Emérito Estrada Rivera, Charlie Auto Sales, Inc, Redondo Construction, Nutritional Resources d/b/a Pueblo Supermarkets and La Electrónica, Inc.